Wheel rakes are built to handle high capacities. Featuring quick, simple adjustments and heavy-duty construction ensures season after season of durability. 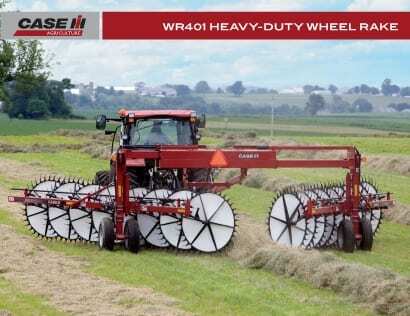 The WR102 wheel rake features the availablity of either 8, 10 or 12 wheels, making it easier for operators to build windrows perfectly matched for their crop and field conditions. ​Compare our wheel rake specs to other manufacturers specs. 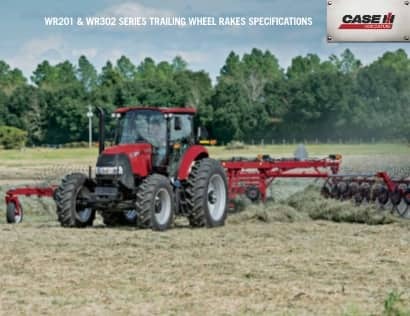 Keep on top of the latest Case IH product information, farm show reports, and industry news.